Ask A.J. Mahari, the BPD Coach, what you most want to know more about Borderline Personality Disorder. A woman with Borderline Personality Disorder asks A.J. about her recovery and whether or not she was on medication and if she still is now. How long did A.J. 's recovery take? How long did it take to find her authentic self and start to recover? "I'm writing you to ask a couple of very simple questions. How long did it take for you to find your authentic self and start your recovery from BPD? Also, did you take medication and are you still on it? I was diagnosed over a year ago with BPD and thought that I would be well on my way to leading a much more stable life. Much to my chagrin I feel like I'm going backwards instead of forward. My doctor has me on anti-depressants and anti-anxiety medications. They help with my severe mood swings but I still cannot control my many emotions. Just as background; as a child I wasn't allowed to have any feelings whatsoever. If I was happy my parents would chastise me for my euphoria. If I was upset they would give me something to be upset about. At no time was I allowed to "feel" anything. Now when emotions surface I cannot identify what they are unless they are: anger, happy or sad. The smallest of upsets set me into frenzy. Sometimes I wish I was strong enough to just end it all but unfortunately about 20 yrs ago I met the most wonderful man and decided to start a family. I have two beautiful children that I cannot selfishly abandon like my parents did to me. (metaphorically speaking). So here I am trapped with a wounded inner child who continuously rears her ugly head and demands to be heard. When I was younger I silenced her with alcohol but 9 yrs ago I got help for that particular addiction. I'm willing to do the work. I want to get well. I just need to know that I won't be doing this for the rest of my life because I know that I can't continue to feel this emptiness and loneliness for the rest of my life. I have the most fabulous family, a wonderful job, a great home and I'm miserable. Please I need to know that there is hope. That 2 or 3 years of hard work I will start to love me for me, not keep loathing who I am on a daily basis. You are the only person I have read about that has recovered from this form of mental illness so your words would be of utmost importance." Thank you for your questions, Janet. Firstly, I began my recovery from Borderline Personality Disorder some time before I found my authentic self - finding your authentic self is a part of the process of recovery as is re-parenting and nuturing the newly found authentic self. In the process of therapy I became aware that I was in search of a lost self and identity. It took me about 4 months (out of total of 7 months of that therapy program) in a concentrated group therapy program to begin to be in touch with, connected to, and understanding more about my (at that time) burgeoning authentic self. I had been in therapy for some years prior to this group therapy program where I found my lost authentic self. My entire process of recovery was close to 8 years. By the time I entered the group therapy program where I actually recovered I had been in therapy in earnest, working very hard, for close to 7 years. Once aware of and connected to previously lost self my recovery picked up speed. I gained a tremendous amount of insight. However, at that point, there was still the taking a few steps forward, to take a couple of steps back, to move further forward and so on. I was also learning how to cope more effectively with my emotions and relate in healthier ways with others. This too, though, for the first little while, still meant being triggered at times into dyregulated emotion that I didn't cope with as well as I would have like to right away. In recovery as insight and awareness is strengthened one becomes more aware of acting or behaving in ways that he or she no longer wants to act or behave. It is important to be patient and kind and gentle with that emerging authentic self - with yourself - and to not get drawn back into feeling shame or negative polarized patterns of thinking. I was not on any psychiatric anti-depressant medication in my process of recovery. I am not on any psychiatric or anti-depressant medication now either. I learned to master my emotions. In my Emotional Mastery Coaching I am helping others to do master their emotions in ways that mean living a healthy and balanced emotional life. Please keep in mind many people do require certain medication at different stages of the process of recovery to help manage and cope with their emotions so that they can continue to do the work required in therapy. The work in and process of therapy often has as a side-effect, if you will, for some time, an increase in emotions and emotional pain that has to be coped with. To put it plainly it does have to get worse to get better. So what you are describing isn't out of the ordinary in the process of recovery from BPD. It is part of that process. And things do take time. That amount of time is different for each person. I can relate to how you describe not being able to feel or express your emotions as a child. I had the same experience. I wasn't allowed to be happy because my parents weren't happy (they both had BPD). This is a prime example of how an invalidating environment contributes to the difficulties in emotional regulation that exists in the experience of Borderline Personality Disorder. For some people there may be some management that goes on throughout their lives. However, that said, they certainly can and do improve the quality of their lives and relationships. In my life coaching, I have many clients with BPD who are various stages, phases, levels, of management versus finding freedom from having to manage their emotions. In my own case and recovery almost 15 years ago now, it was the first 1-2 years wherein I was still vigilant about my emotional management. Following that, I had changed my ways of thinking, actually creating new neuro-pathways in my brain, that mean that I changed, recovered, past tense, to the point where I just live my life and don't have extreme emotions or emotional dysregulation to deal with anymore. Being willing to do the work is what it takes to get the work done. I would encourage you to focus on the work and not on how long that work takes. You are in your own process. It is human to feel like things aren't changing fast enough, from time to time. In those times, however, it is important to pay attention to what your inner-dialogue is. Important to be kind to yourself. To focus on the positive gains in a way that they are in balance with the work that still needs to be accomplished. Being in recovery from BPD is a process. It is different for each person with BPD. Dedication to that process is what is most closely related to degree of success. You will also benefit from focusing on the ways in which your emotions are becoming more manageable, even if, at first, it is only in small increments of time. Recovery from BPD is possible. It takes time. There are no miracle cures. Each person will progress thorugh their own recovery process in their own way and at their own rate. As you discover and become more aware of your lost authentic self - as you find that precious self - show that young self, patience, love, understanding, and the validation that it needs to continue to emerge. © The BPD Coach A.J. Mahari and Touchstone Life Coaching January 7, 2010 - All rights reserved. A.J. 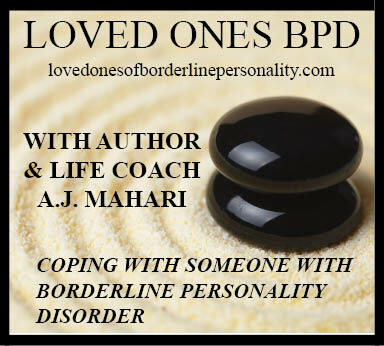 Mahari will now be responding to your questions about Borderline Personality Disorder in much more in depth fashion from her perspective as a professional BPD/Life Coach since 1998. With a great deal of expert experience coaching thousands of clients - clients with Borderline Personality Disorder and clients who have someone in their lives (or have had someone in their lives) who has BPD. A.J. Mahari who herself recovered from BPD in 1995, and has been working online to help others effected by BPD on both sides of BPD since 1998. Mahari also had two parents with BPD (her father also had NPD) along with a past relationship with someone with BPD/NPD. Her experience of BPD from all sides and her recovery from all of these toxic relationships give her a unique 360 full-circle understanding of Borderline Personaltiy Disorder. Her first hand, inside out expertise is unparalleled on the internet. Her prolific writing, articles, Ebooks, Audio Programs and Videos and way of explaining the many facets of BPD along with coaching borderlines and non borderlines (loved ones) alike to increased awareness, health, and the achievement of their desired goals is renowned as the many testimonals of her knowledge and work and expertise in this field are evidence of. What I do as a BPD Coach is provide supportive compassionate and affirming advocacy as a sounding-board, a reflecting mirror, and a safe person for the client to explore his or her feelings and experiences with. I engage in the journey of each of my clients meeting them wherever they are in their own personal journey with BPD from the foundation of both my experience as a BPD Coach and my own personal experience as someone who has BPD and has recovered from it. I help people with BPD learn to help and empower themselves. A big part of my role as a BPD Coach involves asking pertinent questions that engage each client more fully in his or her own quest to increase awareness and understanding required to identify goals and then create strategy to achieve those goals. I also provide information that can help assist each client to expand his or her base of knowledge in terms of the challenges he or she is facing. Yes there is a difference in what I, as a BPD Coach do, and what therapists do. There are differences actually. Therapy, which for most with BPD, is an integral part of getting well at one point or other of the journey, is, among other things, the work of digging deeply into the unresolved issues of one's past. In coaching the work and process is focused on the here and now, and not on the past. As a BPD Coach I work with my clients from a here-and-now framework and focus in the process of creating effective coping strategies and identifying desired goals moving forward in the life of the client. The focus is on learning healthier ways of being in the present as the client continues to pursue the attainment of identified and outlines goals. It is very possible also to be both working with me as your BPD Coach and working with a therapist at the same time. The work is not exactly the same but is highly complimentary. BPD Coaching is an effective adjunct to professional therapy provided one is not suicidal - in any immediate risk. As a BPD Coach it not within my realm of expertise to provide help with feeling suicidal or actively being suicidal. That is territory for a professional therapist. It is very important to radically accept where you are right now. I strongly believe that there is purpose in each and every unfolding here and now moment. Where each person is with Borderline Personality Disorder in his or her life is highly individual. It is important not to get down about having BPD and not to judge yourself for feeling stuck or being stuck. Stuck is a respite between the last point of growth and the next up-coming point of growth. Stuck is a part of the process. Recovery from BPD is not a straight line. It is not constant movement. There are times in the process that one needs to just be where one is even when that feels very stuck in the negative sense of what one can judge stuck to be. Being or having been stuck does not mean that you aren't making progress or learning. It means that you are coping the very best that you can right now. You are doing the best that you can right now. When you know more you can do more, when you learn more you will know more. Stuck is as much a growth opportunity as anything else if you choose to let it be. Many of my clients still have BPD but are able to vastly improve their experience and quality of life where they are in the here and now with an eye to moving forward through the process of working with me as their BPD Coach. One does not have to be fully recovered from BPD to improve the quality of one's life. Still having BPD does not have to mean that you continue to suffer or to feel unable to cope with your pain or emotions. It does not have to mean continuing to relate to Self and others in destructive and unhealthy ways. It does not have to mean continuing to be disconnected from the lost authentic self in BPD when one opens to and further understands the reality that triggers in BPD are gateways to recovery. As I talk about in my video, below, you, like anyone and everyone else with BPD, are the person who can most learn to help yourself. You need to find your authentic self and empower that Self. My clients find working with me as their coach very helpful in the process of successfully identifying their goals and the most effective strategy required to attain those goals. My main role as a BPD Coach is to help people with BPD, my clients, to empower themselves and to identify and achieve their goals in effective healthy coping, building and maintaining emotional competence and mastery in working toward and supporting their efforts in recovery. © The BPD Coach A.J. Mahari and Touchstone Life Coaching September 5, 2009 - All rights reserved. Borderline Personality Disorder (BPD) has at its center abandonment. Those diagnosed with BPD have a tremendous and often all-consuming fear of abandonment. They feel or perceive the threat of abandonment in many everyday relational situations. Along with this intense fear of abandonment people with BPD have an equal and intense inability to effectively cope emotionally with this fear of abandonment in ways that would be healthier for relationships. Often people with BPD being very triggered by their fears of abandonment are triggered into emotional dysregulation that leaves them struggling with often repeated flooding of feelings from the past that are re-experienced in the here and now. Darren Walker writes: "As a BPD sufferer I am walking the path to recovery and making real progress. One step forward and three steps back. I am on a backward step right now which I see as integral to my learning. I feel that I am now at a point where I have dealt with lots of issues, and know myself a little better. But I still always stumble with, what for me is the core issue, the anxiety of abandonment. My anxiety and fear of abandonment always shows itself whenever my wife wants to go out with her friends for a night. As soon as I am told she is going out I instantly feel these enormous anxious feelings start. I feel jealous, envious, and defensive all in a quest to avoid the fearful feelings of abandonment which are clearly old patterns that simply don't work anymore and yet they persist. I've tried using logical thinking. I have plenty of reassurance from my wife. I can temporarily gain some respite from these fearful feelings through breathing but feel that I am only dealing with the symptoms and not actually addressing the deeper issues of my fears of abandonment that stem from my BPD mother who never showed me love. My question to you is, 'How do I confront this issue of fear of abandonment and the feelings that I end up with'? I find it incredibly frustrating, and try everything in my power to change and address this. I clearly am missing the point somewhere, and have to admit that I don't know how to make real headway with this. Maybe I am not doing as well as I thought? That is how having all these uncomfortable feelings makes me feel." One step forward and one or two or three or more steps backward is a common experience in the process of recovery from BPD. It might be helpful to think of the process as a spiral one rather than a backward and forward one. It is one of visiting repeatedly a fixed point or center while constantly receding from or approaching it. © The BPD Coach A.J. Mahari and Touchstone Life Coaching September 2, 2009 - All rights reserved. I am a 54 year old woman with Borderline Personality Disorder. Why does it hurt so much having BPD? Why am I always in so much pain? I don't understand where the pain is coming from, what it means, or what I am supposed to do with it or about it. Every time my therapist starts to talk about pain I just block out everything she says. I just can't hear it. Help! What can I do to deal with all of this pain that I just can't stand? - M.W.B. - Utah, U.S.A. M.W.B., as you ask about and describe Borderline Personality Disorder is a very painful mental illness. There is an intense and heightened sensitivity in those diagnosed with BPD. Rejection sensitivity that goes hand in hand with a fear of abandonment and/or fear of perceived abandonment that is thought to be remotely possible in the near future or that one has come to expect. This fear of abandonment, for most with BPD, which has its roots in the past in what I've termed the legacy of abandonment in BPD becomes a self-fulfilling prophecy for those with BPD due to living through the borderline false self due to the absence of a known authentic self. Ask the BPD Coach, A.J. Mahari, questions about Borderline Personailty Disorder on her interactive microblog. I have been married to my wife for 3 years. It has been a living hell in so many ways. It is painful loving her. It is intense. She has cheated on me, hit me, rages at me often. I really love her but feel that our relationship isn't working. My question is: does my borderline wife really love me? J.B., U.S.A.
J.B., as I remind most people with questions, please know you are not alone. This is a question that I get very often from the partners, husbands and wives of those with Borderline Personality Disorder. You have identified for yourself that, at this point, your relationship is a "living hell" and "not working". Your BPD wife has as you've said, "cheated" hit you and rages at you often. None of these things you are experiencing from your BPD wife are love. You are quite right to be asking the question, "does [your] borderline wife really love [you]? All responses given by The BPD Coach A.J. Mahari are meant to convey general information and are not intended to be in anyway a specific recommendation or commentary on any personal life situation. Coaching is not therapy, it is also not a replacement for professional therapy. Coaching can be an effective adjunct to professional therapy for those with Borderline Personality Disorder and/or their loved ones. Ask the BPD Coach, A.J. Mahari, your questions on or about Borderline Personality Disorder whether you have BPD or have a loved one with BPD. BPD Coach A.J. 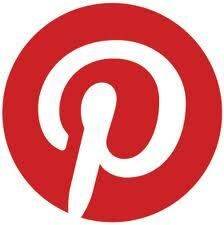 Mahari invites you to interact with her on her newest blog which is actually a microblog. Do you have Borderline Personality Disorder or do you know and/or love someone who has Borderline Personality Disorder (BPD)? Is there something about BPD that you are trying to understand right now? Is there something about BPD you would like to ask the BPD Coach, A.J. Mahari? Are you interested in finding out more about what BPD Coaching is? Would you like to read what, A.J. Mahari, who recovered from BPD 14 years ago has to share from the inside out? Would you like to know more about A.J. 's journey as a loved one of someone in her life (3 people actually) with BPD? Are you searching for closure? If you answered yes to even one of the questions above than it might just be very helpful for you that you found this latest site of A.J. Mahari's which is her interactive microblog. A blog upon which A.J. 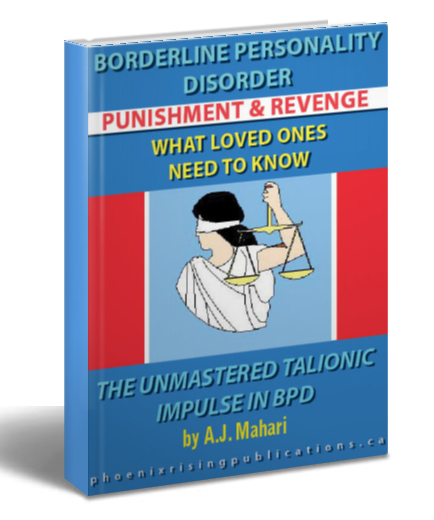 Mahari will respond to questions asked of her on the subject of BPD. If you would like to ask the BPD Coach, A.J. Mahari, a question, please email her at bpdcoachaj@yahoo.ca with your question. Please also indicate if you would be okay with your name being used if A.J. responds to your question here or not. If not, please suggest a pseudonym that you would like your question attributed to.